The vet called. Liver stuff was a bit high which might be caused by the pancreatitis which still hasn’t completely gone away. The thyroid test was showing that gland to be low in producing the one (of a few) hormones I need. The recommendation was either an x-ray of the abdomen or an expensive ultrasound-either one could tell what the problem is or not. So, we ordered the rest of the thyroid hormones to be checked, and an abdominal x-ray and trotted right into my second home to visit His money. He asked for a change of address form to change my address to the vet’s office. They took the x-rays and the doc couldn’t determine something that was on my right side where the pancreas is. So He approved forwarding the x-rays to a specialist in interpreting x-rays (if they’re in Spanish, I could have done the interpretation myself) and that’s extra. I was a little lethargic this morning but was perky in the afternoon and I got two more pills to take-not exactly gourmet food. The vet said “yes” to the 2 questions He asked and I’m going to get to take my first of the month heartworm med on Monday (and that’s my favorite treat of all) and YES, I can have egg whites (no yoke). So now my peeps and I are in suspense until Monday. I hope the vet’s kids enjoy grad school-there will be no student debt. On the way home in the Scottiemobile, I wanted the top down and He said “NO”. I did say thanks for the bills he was paying but he told me “L’Oreal”. Translation for those who didn’t catch the reference, there was/is a female cosmetic that has a slogan “It’s expensive, but I’m worth it”. I think Doc, the Shih Tzu who left this morning, would work for green beans. Hello Kyla. Thank you for the update. You are L’Oreal. Mom says that we’ll keep you in our prayers for some good results on Monday. I’m OK-every morning I wake up is a blessing. Kyla, Kyla, Kyla, I have been checking all day for an update. I’m hoping you are feeling a little better and am glad for you that you are getting to eat something other than potatoes. You look good I hope you are all done being sick with pancreatitis and anything else. I wish those danm dogters didn’t cost so much, but the peep is right – you are worth it. Unfortunately, I still have pancreatitis. New pills might work but then again they might not. I’m just upped my enjoyment of life with blogging friends all over-I’m gonna fight and I’m a terrier. Good girl! 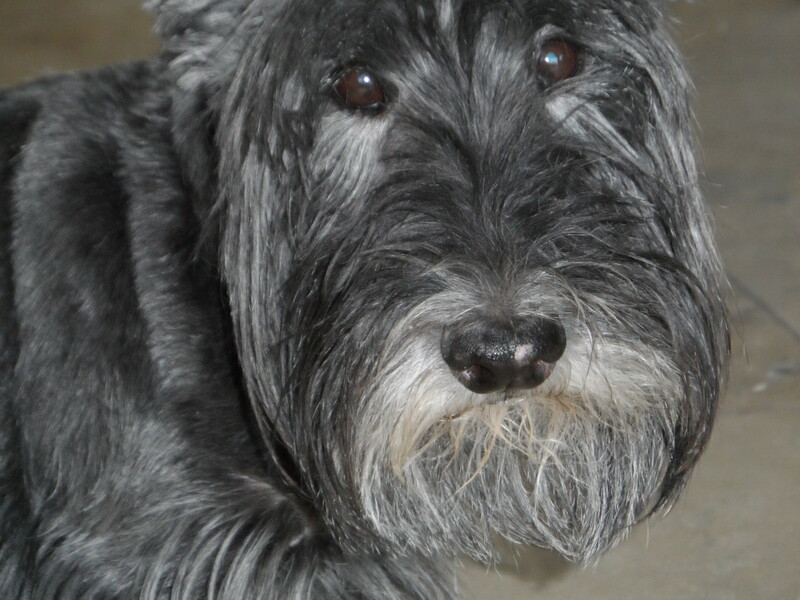 You’re a good terrier – give that pancreatitis hell! We love you Kyla! I ♥ all of you also! Don’t worry about the “like button”. I’ve never clicked it in my life. If you don’t know I ♥ you, then I’ve failed in my intercanine relationship. Okays, seriously, I’m gonna keep my paws crossed that there is good news on Monday, and that you are gonna start feelin’ perkier tomorrow. pees: ‘Lorieal’ ~ BOL your Dad’s funny! The problem is that you’ve heard the expression “If you want a friend, get a dog”. Both He and She plus Kaci think my picture should be there in Bartlett’s Famous Quotations on that one. Their human friends think so, too. I just wanted a home and a chance as a rescue. Hey sweetie, its me Bites. I am so relieved (no I didn’t pee) that you are doing so good, your really had Me going someting terrible, Dad was worried about ME! Also they didn’t show up to take us Away! Barharhar. Sending you my PORP by brain waves, lots ogf huggies, nose kissies and a ton of lovies, Susie says you go girl! Opps not a s good a speller as Sus, That POTP! That’s better. I thought PORP was Power of the Rumpy Patootie. We got the inference! So happy you’re feeling a bit better in the afternoons and can add a few things to that bland diet. Our Paws are still crossed! If it’ll help to send power of the rumpy patootie, we can do that too. We’re grasping for anything here. The PORP might work and it’s cheaper than UltraSound. Ok guys, , lets all work togethere here, “Oh Power of the Rumpie Patootie, we beg of you to help Kyla Out”. Your right, I think that may work! Oh man!! his kids are so lucky BOL Paws crossed here for good results! He could have bought a used car with the money He spent on me this month. Fortunately all months end. I can get green beans and carrots! You sure are worth it Kyla. Now, make sure you keep getting better. You’re not allowed to do anything else that okay! Thanks Dougall. Once again I had to rescue your comment from spam and I don’t know why you go there. Oh Kyla – we are so sorry to read that you have not been well again. Try not to spend all weekend worrying about Monday – easier said than done, we know. Enjoy your egg whites and know that we are thinking of you…lots. MMMMMM. Boiled potatoes are pasty not tasty. Thanks, I still have pain. Once again, we’ll wait for the test results. You sure are worth it Kyla! Yeah, but it’s nice to hear it from Him. Sometimes the pain meds work and sometimes not so much. How are you feeling today Kyla? I’m better this morning than yesterday morning when I didn’t perk up until noon. At least you are helping the economy, you keep it moving, you should run for presiden, you’d do a better job and of course, you should suggest the vet puts your name to his clinic, you are supporting that place. Hope the results on monday are good news, fingers crossed. Every time we go to the vet (it seems like that’s daily) he tells the receptionist he’s there to visit his money. Paws crossed until Wednesday and we in this family have paid our fair share into the local vet too so it’s a global phenomenon. But what can you do – you’re right – we’re worth it! Hopefully we find out before Wednesday. WE ARE THINKING ABOUT YOU. GET WELL SOON!!!!! The past 2 days I woke up with pain and I was lethargic. In mid-afternoon, I’m a lot better. OH JOY!!!!!! RAPTURE!!!!!! Whew. You’re fine. Glad that’s over…. Now look. This is just too much.